Visit 2pp CD Jackets on our Main Site! DVD Replication Packages with 4C Printed, 2pp Minijackets. 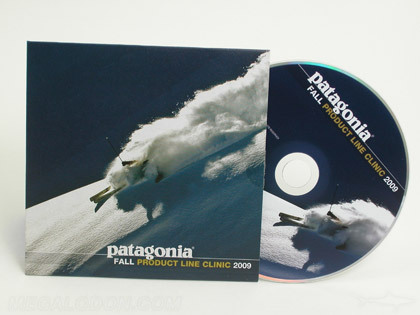 This is a very popular and inexpensive printed DVD packaging option. Mini Jackets work beautifully with embossing, foil stamping, and other special printing effects. Printing is full color on cardboard stock with your artwork. Another popular option is a minijacket with a spine, which allows you room to have spine printing and to add inserts. Minijackets are available with recycled content and fiberboard! And if you don't see the disc package you're looking for, please ask. These are just the most frequently asked for packages! 2pp Minijacket with a 1/8" spine!